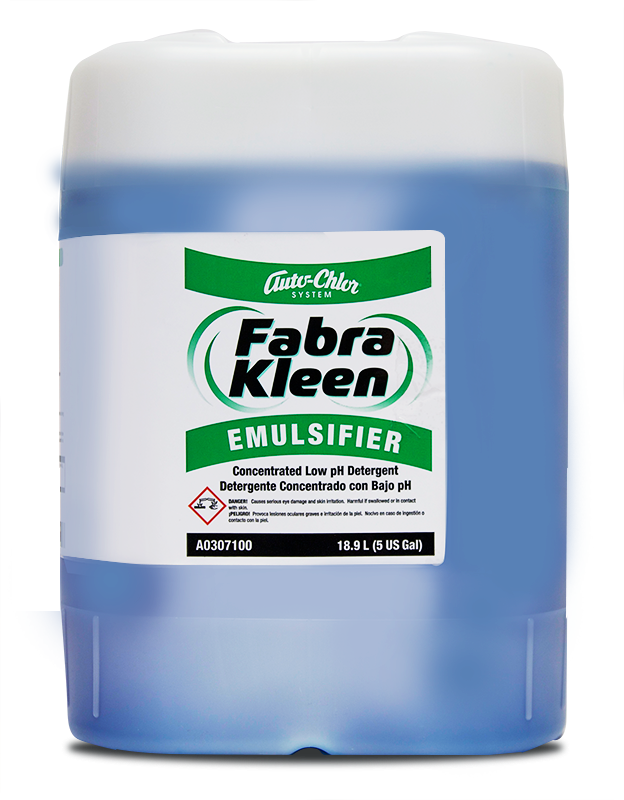 Improves water extraction to reduce drying time. 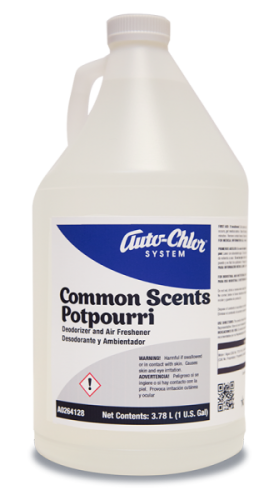 Pleasant fragrance leaves items smelling fresh and clean. 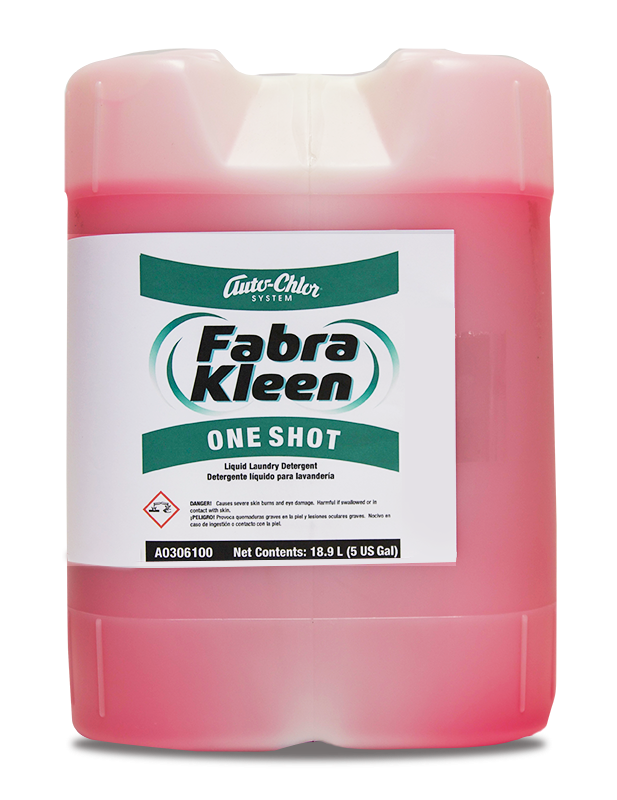 Fabra Kleen Fabric Softener is a concentrated liquid fabric softener designed to eliminate static cling and soften fiber on cotton, synthetic and blended fabrics in commercial laundry operations. Improves water extraction during rinse cycles in the wash wheel to reduce required drying time. 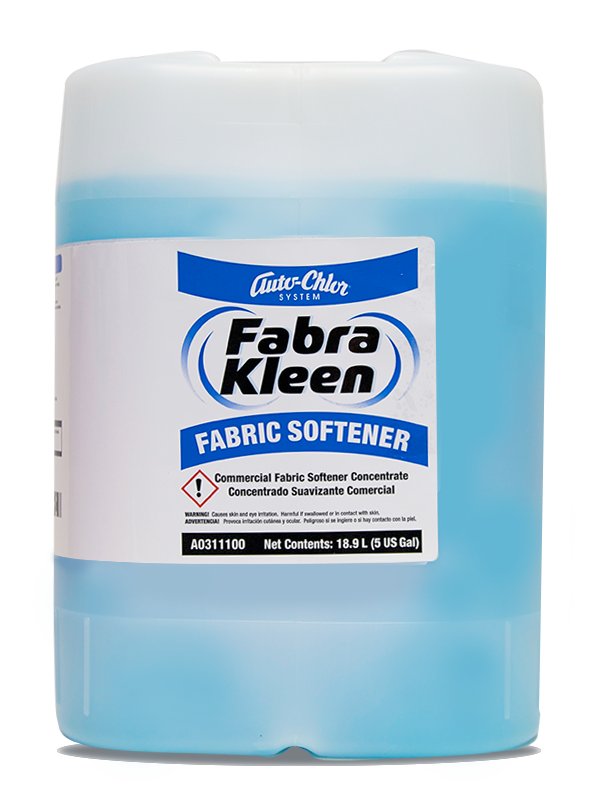 Fabra Kleen Fabric Softener is pleasantly fragranced and leaves wash items smelling fresh and clean. 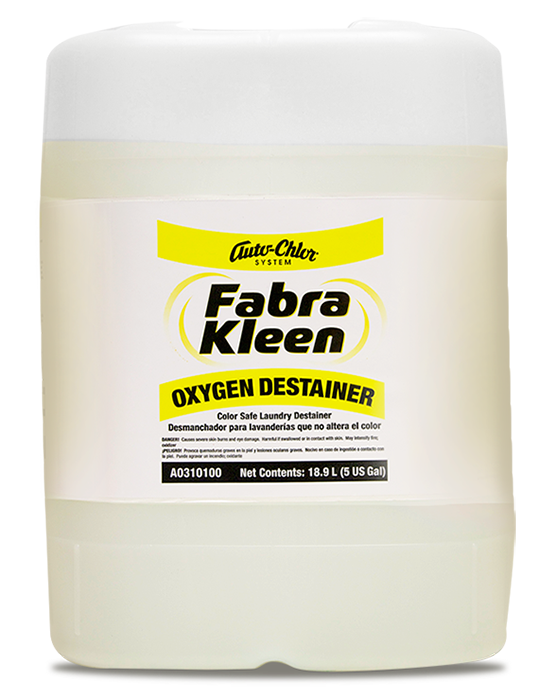 Optimum results are achieved when used in conjunction with Auto-Chlor System dispensing equipment, service programs, and complementary wash products. 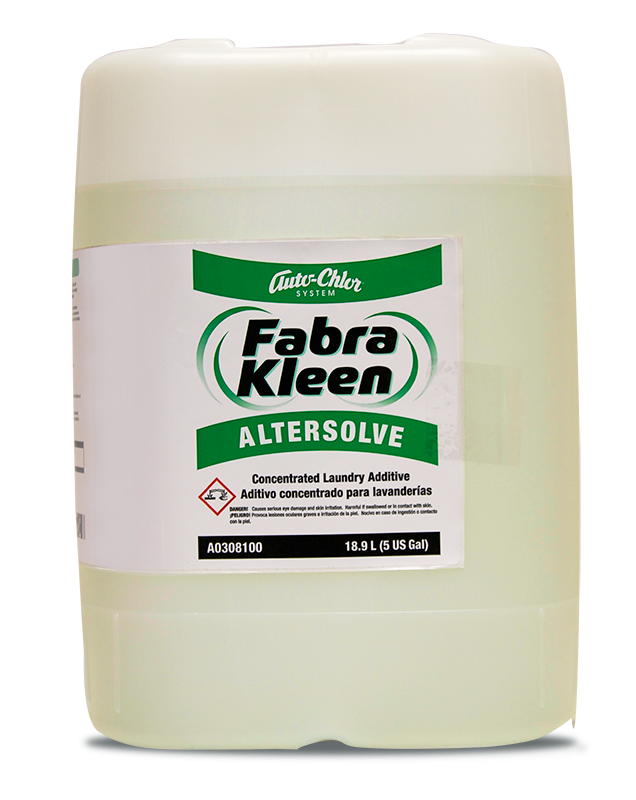 When used as part of the complete program; increased laundry operation efficiency and significantly reduced wash article rejects and re-washes will result.